Just got back from London last night so I thought I would share some semi-blog relevant photos. Unfortunately not much skating happened, though the weather and climate where infect PEFECT. We flew in from Chicago arriving at 4:30am on Xmas Day and no trains ran into the city, just a special bus. We thought it would be nice to kill time walking around in a drowsy stoopper. This lead to some careless skating on cracked sidewalks, which resulted in re-injuring my knee, which has been pretty jacked up since August. We did manage to get in some good sight seeing, though a bit depressing in my injured state at the south banks. 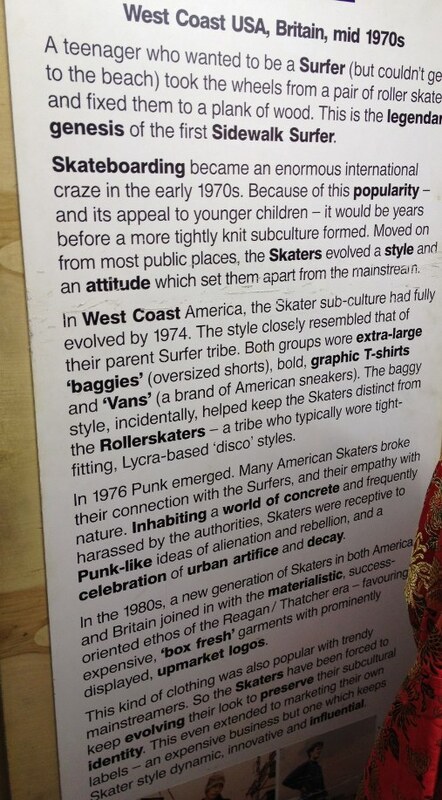 Also some insight to the street-stylings of the “skateboarder” from a vintage shop. 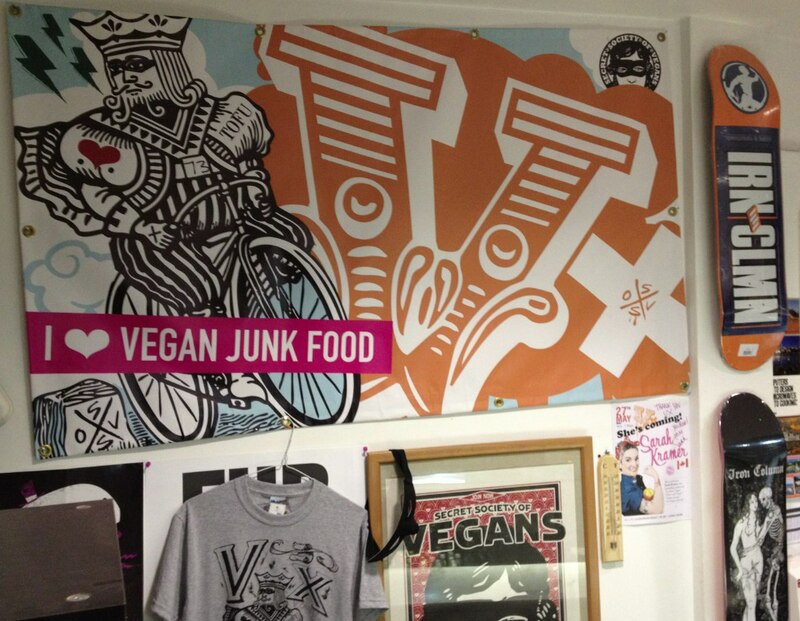 An obligatory stop at Vx Secret Society of Vegans for the a snack and a T-shirt. 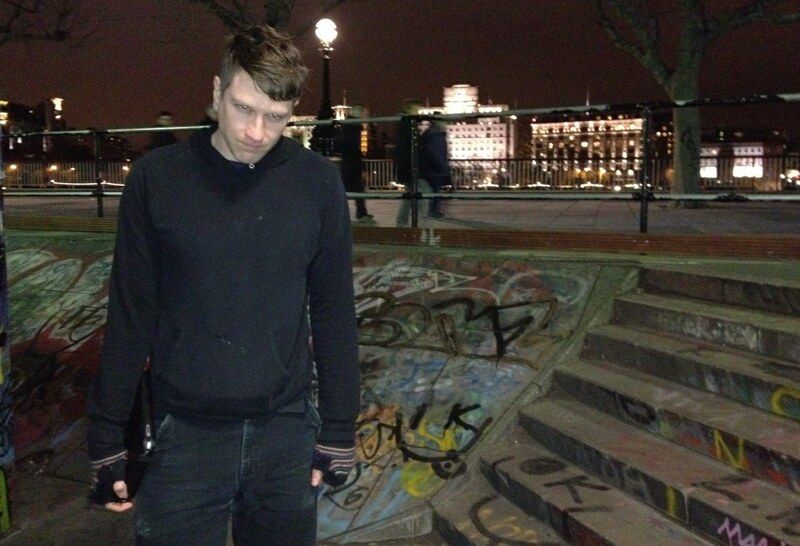 If you find yourself in London and read this blog, this is a pretty obvious stop. Mrs. Fakie and I had a Vegan Cheddar Onion scone and an “Epic Cookie of Win” from Ms. Cupcake on our first visit, and then smuggled a bunch of other snacks back home. 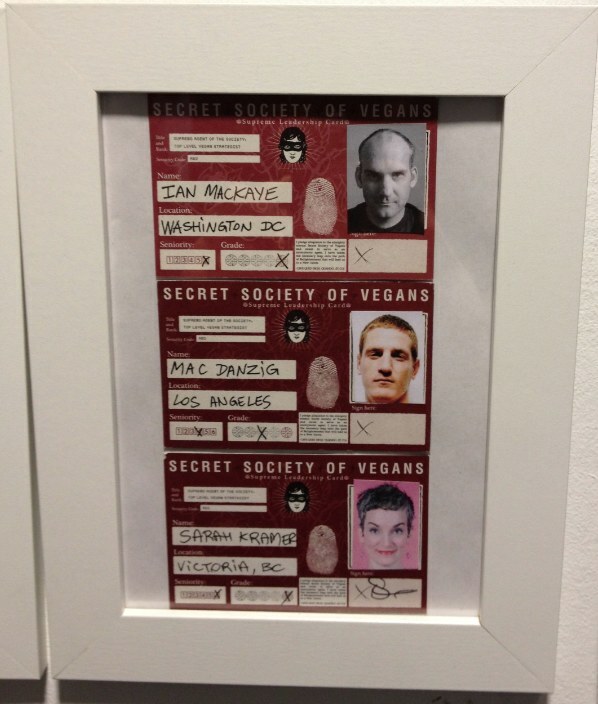 A few of the SSOV elites, including Ian Mackaye, Sarah Kramer and Ed Templeton. Finally before leaving for Chicago we stop at Flatwhite, a great little cafe in Soho. 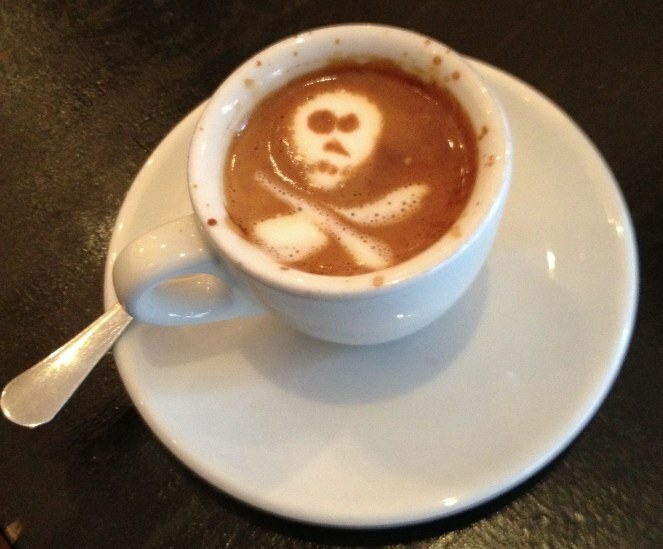 They surprised us with this gnarly latte art (technically thats a soy macchiato.) Next time I need to have one of these after spending 9 hours on a flight with no sleep, before skating. i love london. ive only been once and it was in 2007, and i didnt have a board. 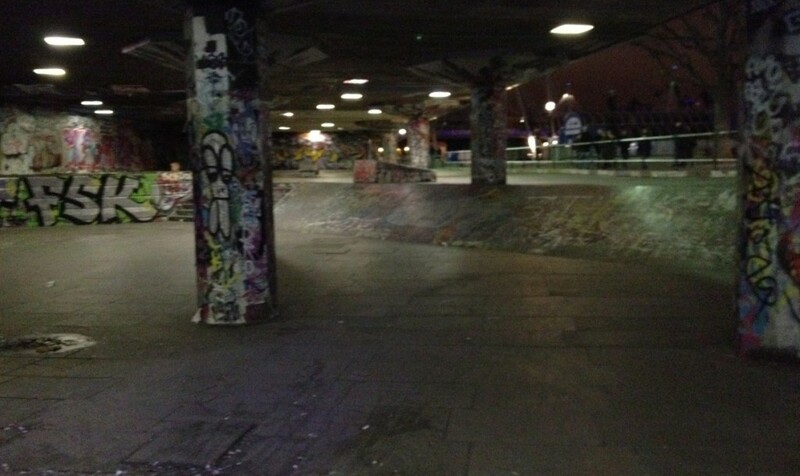 its awesome you got to go to the south banks spot! i plan to go back one day with a board and a mission. 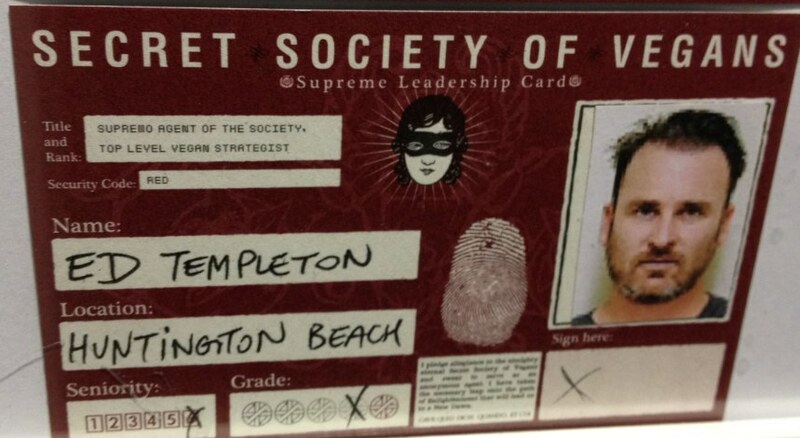 i love the secret vegan society. it seems like you did a lot there, and had fun aside from your knee injury.